Originally from Northern Kentucky, Ken Bryant has lived in the Calumet Farm subdivision in Symmes Township for over 27 years. He has been a Symmes Township Trustee for the past 12 years and was reelected on November 7th, 2017 to serve another four year term. 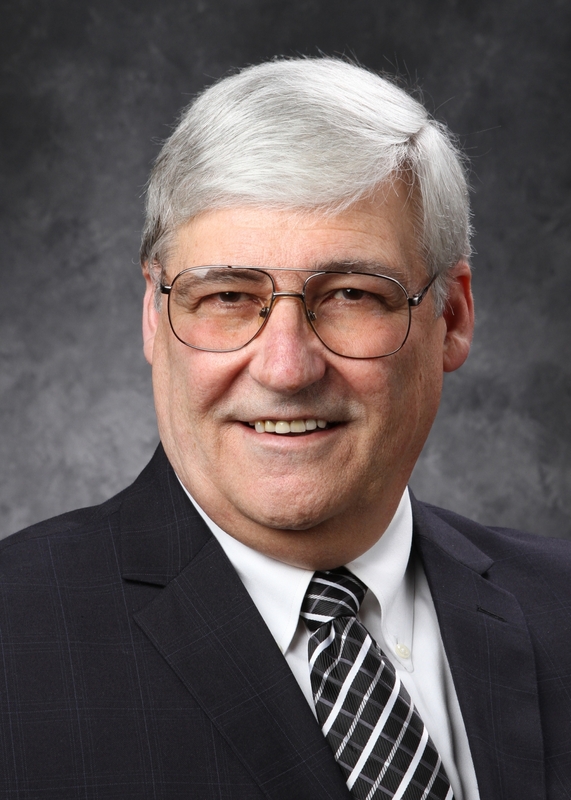 Ken graduated from the University of Kentucky in 1967 with a Bachelor of Science degree in Mechanical Engineering and has completed an additional 2 years of post-graduate study in both personnel and project management. He is a 2017 Graduate of the Ohio Township Association’s Leadership Academy. Ken and his wife, Jean, have been married for 47 years and enjoy being active in many community activities and charitable events. Ken's two adult children--Angela and Gregory-- and his granddaughter, Jordyn Bryant, are all graduates of Sycamore High School. Ken has a wealth of business experience. Prior to his retirement from industry, he had a long and successful career both as a Manager and a Senior Staff Engineer with GE Aircraft Engines in both Evendale, Ohio and Lynn, Massachusetts. His 35 years of Engineering and Management experience included both Personnel and Program Leadership in both Product Design and Engine Systems Integration. During his industrial career, Ken successfully managed several multi-million dollar contracts and technical programs. Ken is an active member of the Montgomery Community Church and loves golf, volleyball, DIY projects and family travel. He can be reached at (513)489-1886 or email at kennethbryant@fuse.net. Jodie was elected to the Board of Trustees in 2001. She graduated from Mother of Mercy High School and attended the University of Cincinnati where she graduated with a bachelor’s degree in Marketing. Jodie has been employed with the Hamilton County Adult Probation Department since 1989. Jodie worked as an Intensive Supervision Probation Officer for 15 years and is currently employed as the Director of Community Service. She is married to a Loveland Symmes Firefighter, Jack George, and has three children--McKenzie, Bailey and Remington. McKenzie attends the University of Cincinnati, Bailey attends Case Western, and Remington is a student at Loveland High School. Jodie is committed to a fiscally responsible government, providing quality services while keeping taxes as low as possible. She feels it is important to connect neighborhoods to libraries, schools and parks through our sidewalk program. She has developed two parks, Home of the Brave and Hopewell Park, since serving as Trustee. She promotes fitness in the Township by organizing Yoga in the Park and various Get Fit programs. She is involved in the community through school, youth sports programs and volunteering. Jodie also feels family is key to a great community and brings the community together through events in the Township. Jodie believes the Township is thriving and will continue to work to keep our community's future bright. She can be reached at jodie.leis@gmail.com. Phil was first elected to the Board of Trustees in November 2007. He is dedicated to providing professional service to the residents of Symmes Township. Phil graduated from the University of Cincinnati in 1988 with a Bachelor of Science degree in Architecture. He is a registered Architect in the states of Ohio and California. In 1996 Phil graduated from the University of Berkeley with a Master of Science degree in Construction Management. He has 29 years of combined experience in the management of complex public programs, including transit, sports, aviation, military, parking and roadway structures and wastewater facilities. Phil is currently the Project Executive for both the City of Cincinnati and Hamilton County on The Banks project on Cincinnati’s riverfront. Since 1999 Phil has been honored to serve as an officer in the United States Navy, Civil Engineering Corps (including the Seabees). He is a veteran of Operation Iraqi Freedom and Operation Enduring Freedom (Afghanistan). Phil and his wife Suzanne have been residents of Symmes Township since 2000. They have three children. Two of his children are in college and one is a student in the Indian Hill School District. Phil enjoys supporting his children in their extracurricular activities. He and his family enjoy traveling to National Parks, places of significance to American history and visiting an occasional sunny beach. He can be reached at beckfortrustee@fuse.net.